Draft: 2012, Seattle Mariners, 1st rd. Mike and his wife, Alyssa, are expecting their first baby in May…they plan to name him Rhett...He and Alyssa enjoy cooking together…the two are willing to try cooking just about anything...Mike's parents met in Italy while playing in the country's premier baseball and softball leagues… his father, Greg, was selected by the Yankees in the 1981 June Draft and is a southeast crosschecker for the Reds…his mother, Paola, was a catcher on the Italian national softball team… she was born in Bologna, Italy...Mike's mother taught him to speak a little Italian as a kid, but he lost it as he grew older...He enjoys hunting and golfing in his free time...Mike grew up a Marlins fan and has memories of attending games at Joe Robbie Stadium, now Hard Rock Stadium…Édgar Rentería and Jeff Conine were his favorites...Mike was able to meet Ken Griffey Jr. and Randy Johnson while with the Mariners…he also met Johnny Bench as part of winning the collegiate award bearing his name...One afternoon while Mike's Mariners were playing the Angels on the road last season, the game was halted for 10-15 minutes due to a sudden swarm of bees…from behind the plate, he saw the outfielders start swatting and what appeared to be a black cloud of bees moving towards them…they had to wait for maintenance to clear the bees before resuming. Reached the 20 HR plateau for the third time in his career and second consecutive year…10 of his 20 HR went at least 400 feet, according to StatCast, including two at 440 feet or more...Missed time due to a pair of stints on the disabled list…missed the first 17 games of the season with a strained left oblique and 12 games from July 5-21 with a left ankle bone bruise...Named the Wilson Defensive Player of the Year at catcher…the award, which honors the top defensive player at each position across the majors, is determined by a combination of traditional defensive stats and advanced metrics...According to FanGraphs, tied for 1st among AL catchers and tied for 2nd among major league catchers with 12 Defensive Runs Saved…among qualifying catchers, ranked 5th in the majors and 3rd in the AL with a .998 fielding pct....Threw out 29.2 pct. (14 of 48) of potential base stealers, 3rd in the AL (min. 100 games)...On May 26 vs. MIN, hit a walk-off homer in the 12th inning off Matt Magill…hit the sign on Edgar's Cantina on the second deck facade… was the third walk-off hit and second walk-off home run of his career...Acquired by the Rays from the Mariners in a five-player trade on Nov 8. The Totals - Hit .207 (34x164) with 16 runs, 7 doubles, 12 home runs and 31 RBI in 55 games...On Base with Power - Posted a career-best .318 OBP (previous: .290, 2013), while also posting a career-high .470 slugging percentage (previous: .404, 2014)... Walk This Way - Equaled his careerhigh in walks with 21 (also: 2015) despite appearing in 55 games... Slugger - Among AL catchers, ranked 4th in OPS (min. 190 PA) with a mark of .787...Extra, Extra! - 19 of his 34 hits went for extra-bases (7 doubles, 12 home runs).... Safeco Slugger - Hit his first 6 home runs of the season at Safeco Field in his first 7 home games of the year, July 2 - August 5…equaled the club record for home runs in a seven game span at home and became just the 3rd Mariners player to do so at Safeco Field (also: Edgar Martinez, May 7-May 21, 2000 & Kyle Seager: April 23-May 11, 2014)…also joined Ken Griffey Jr. as the only Mariners in club history to hit 6 home runs in his first 7 home games of a season (Griffey accomplished this feat in 1997)...Z Power - Reached base safely via a hit, walk or hit by pitch in 19 consecutive games (with an at-bat), July 30 - August 23…marked the longest such streak of his career... Backstop Pop - Posted his 3rd season with 10+ home runs (2016: 12, 2015: 11 & 2014: 22)…joining Dan Wilson (1996: 18, 1997: 15 & 2001: 10) and Dave Valle (1987: 12, 1988: 10 & 1993: 13) as the only catchers to hit double-digit home runs in 3 seasons with Seattle... Welcome Back - Recalled from AAA Tacoma on June 30 for his first of 2 stints with Seattle...With Tacoma - Began the year with AAA Tacoma…hit .286 (80x280) with 47 runs, 15 doubles, 17 home runs, 57 RBI, a .376 OBP and a .521 slugging percentage in 79 games.... PCL Honors - Named Pacific Coast League Player of the Week, April 4/7-17…hit .441 (15x34) with 9 runs, 3 doubles, 4 home runs, 11 RBI & 1 walk in 8 games...Five in a Row - Homered in 5 straight games with the Rainiers, April 13-18, batting .500 with 8 runs, 3 doubles, 6 home runs and 12 RBI. The Totals - Hit .174 (61x350) with 28 runs, 11 doubles, 11 home runs and 28 RBI in 112 games. ... Double Digits - Hit 11 home runs following Mariners catcher record 22 HR in 2014…5th catcher in Mariners history to post multiple double-digit home runs seasons… joins Dan Wilson (3 seasons: 18 in 1996, 15 in 1997, 10 in 2001), Dave Valle (3 seasons: 12 in 1987, 10 in 1988, 13 in 1993), Miguel Olivo (2 seasons: 19 in 2011, 12 in 2012) and Kenji Johjima (2 seasons: 18 in 2006, 14 in 2007). ... Good Stretch - Hit .361 (13x36) with 5 doubles, 1 home run, 6 RBI during career-high 10-game hitting streak July 20-31. ... Defensively - Appeared in 112 games at catcher, making 101 starts…at time of option to minors (8/28) ranked 3rd in Majors in innings caught (919.2) trailing only Yadier Molina (1009.2) and Salvador Perez (947.1)…threw out 12 of 54 attempted base stealers (22.2%). ... Triple Play - Was part of a triple play July 26 vs. Toronto in the 4th inning (3-6-2-2), the team's 11th triple play turned in franchise history and first since Aug. 9, 2010 vs. Oakland. ... Sacrifice - Tied for 5th in the American League with 8 sacrifice hits. ... Let's Hit Two - Second career multi-home run game May 12 vs. SD (3x4, 2 HR, 3 RBI). ... For His Own Good - Optioned to AAA Tacoma Aug. 28…appeared in 10 games with the Rainiers, hitting .317 (13x41) with 2 doubles, 3 home runs and 8 RBI. ... Instructional - Ended season participating in Mariners instructional camp in Peoria, AZ. Appeared in 131games, making 126 starts (C-125,DH-1), hitting .199 (87x438) with51 runs, 20 doubles, 2 triples, 22 home runs and 60 RBI... Set a club record forhome runs by a catcher with 22, breaking the old record of 19 setby Miguel Olivo in 2011…22 home runs were 2nd among AL catch-ers (McCann, NYY, 23) and tied for3rd-most in the Majors…Zunino recorded more extra-base hits (44) than singles (43) during the season... T3rd in the Majors in home runs by a catcher behind Cincinnati's Devin Mesoraco (25) and New York's Brian McCann (23)... When he hit his 20th home run of the season at 23 years and 186days, he became the 5th-youngest catcher to put up a 20-double, 20-home run seasonbehind Johnny Bench (21.299 in 1969), Brian McCann (22.223 in 2006), Johnny Bench(22.298 in 1970) & Gary Carter (23.177 in 1977)... Led the American League with 17 hit by pitches, the 2nd-most in Mariners history(Jose Guillen, 19 in 2007)... Hit .252 (33x131) with 8 doubles and 5 home runs vs. LHP; .176 (54x307)with 12 doubles, 2 triples and 17 home runs vs. RHP... Ranked 2nd in the AL and 4th in the Majors with a 3.18 catchers ERA andhis 1121.0 innings caught ranked 2nd in the AL... Caught in 130 games (125 starts), just the 7th season by a Mariners catcherwith 130+ games caught and 125+ starts at catcher…1,121.0 innings caught ranked 5th in single-season club history... Hit 15 of 22 home runs in his ﬁnal 73 games (June 20-end of season)... Led the team and ranked 6th in the American League with 158 strikeouts... Went 4-for-5 on April 29 in his Yankee Stadium debut setting a career-high in hits and becoming the 15th player to get 4+ hits in his ﬁrst game at Yankee Stadium (new or old)... Made ﬁrst Opening Day roster…was youngest player on Seattle Opening roster. Appeared in 52 games, making 48 starts at catcher…Mariners were 25-23 in his starts. Hit .214 (37x173) with 5 home runs and 14 RBI in 52 games. Hit 2 home runs Sept. 25 vs. Kansas City (2x4, 2 HR, 2 RBI). On disabled list with a fractured hamate bone in his left hand July 26-Sept. 1. Recorded walk-off single in 10th inning June 28 vs. Chicago (NL)… at 22 years and 95 days old, became the third-youngest Mariner with a game-ending RBI, behind Alex Rodriguez (20.248, 3/31/96) and Danny Tartabull (21.317, 9/11/84). Hit first career home run June 14 at Oakland in his second career start. Made MLB debut June 12 vs. Houston…went 1-for-4 with a single off Jordan Lyles. Made professional debut after being selected third overall in the June draft...combinedto bat .360 (58x161) with 35 runs scored, 14 doubles, 13 home runs, 43 RBI and a 1.137OPS (.689 SLG, .447 OBP) in 44 games with Everett and Jackson...recorded a double inhis first pro plate appearance July 14 vs. Tri City...hit .373 (41x110) with 10 doubles and10 home runs in 29 games for the AquaSox...reached base safely in 26 of 29 games withEverett...three-time Northwest League Player of the Week (July 16-22, July 23-29, Aug.6-12)...promoted to Jackson on Aug. 12...hit .333 (17x51) with 4 doubles and 3 homeruns in 15 games with Jackson...appeared in all 8 playoff games batting .379 (11x29) with3 home runs and 8 RBI...hit .288 (23x80) with 2 home runs and 15 RBI in 19 games withPeoria in the Arizona Fall League...played in the AFL Rising Stars Game...selected to theMLB.com AFL Top Prospect Team and named by Baseball America as the No. 7 prospectin the league...played his first game of the season Feb. 17 with the University of Florida,and completed Nov. 15 in the Arizona Fall League. 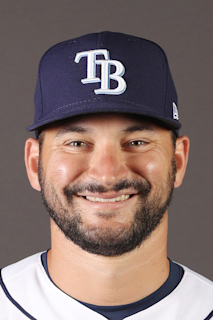 April 22, 2019 Tampa Bay Rays activated C Mike Zunino from the paternity list. April 19, 2019 Tampa Bay Rays placed C Mike Zunino on the paternity list. July 22, 2018 Seattle Mariners activated C Mike Zunino from the 10-day disabled list. July 20, 2018 Seattle Mariners sent C Mike Zunino on a rehab assignment to Tacoma Rainiers. July 5, 2018 Seattle Mariners placed C Mike Zunino on the 10-day disabled list. Left ankle bone bruise. April 20, 2018 Seattle Mariners activated C Mike Zunino from the 10-day disabled list. April 16, 2018 Seattle Mariners sent C Mike Zunino on a rehab assignment to Modesto Nuts. March 30, 2018 Seattle Mariners placed C Mike Zunino on the 10-day disabled list retroactive to March 27, 2018. Strained left oblique. May 22, 2017 Seattle Mariners recalled C Mike Zunino from Tacoma Rainiers. May 5, 2017 Seattle Mariners optioned C Mike Zunino to Tacoma Rainiers. July 20, 2016 Seattle Mariners recalled Mike Zunino from Tacoma Rainiers. July 6, 2016 Seattle Mariners optioned C Mike Zunino to Tacoma Rainiers. June 30, 2016 Seattle Mariners recalled Mike Zunino from Tacoma Rainiers. March 18, 2016 Seattle Mariners optioned C Mike Zunino to Tacoma Rainiers. October 5, 2015 Seattle Mariners recalled Mike Zunino from Tacoma Rainiers. August 28, 2015 Seattle Mariners optioned C Mike Zunino to Tacoma Rainiers. September 2, 2013 Mike Zunino roster status changed by Seattle Mariners. August 27, 2013 Seattle Mariners sent C Mike Zunino on a rehab assignment to Tacoma Rainiers. July 26, 2013 Seattle Mariners placed C Mike Zunino on the 15-day disabled list. Fractured hamate bone in left hand. June 11, 2013 Seattle Mariners selected the contract of C Mike Zunino from Tacoma Rainiers. April 3, 2013 Mike Zunino assigned to Tacoma Rainiers from Jackson Generals. January 11, 2013 Seattle Mariners invited non-roster C Mike Zunino to spring training. August 14, 2012 Mike Zunino assigned to Jackson Generals from Everett AquaSox. July 13, 2012 Mike Zunino assigned to Everett AquaSox. July 2, 2012 Seattle Mariners signed C Mike Zunino.